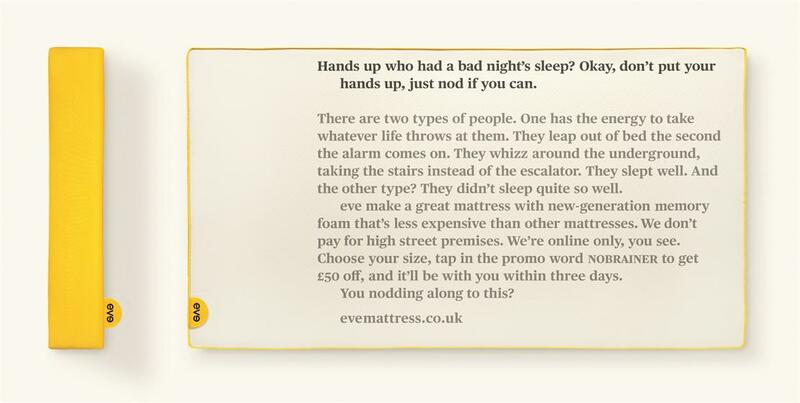 Eve Sleep, the mattress company, has launched a long copy campaign to tell sleepy consumers that they can have a better night's sleep with its mattress. 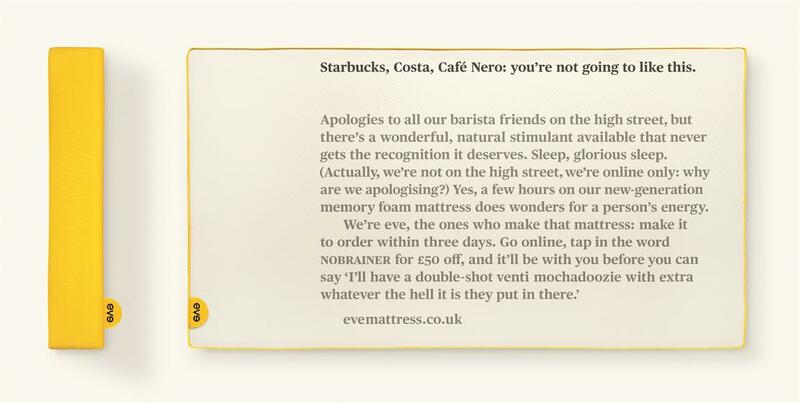 The campaign created by Paul Belford, who runs his own eponymous ad agency, will target commuters who are feeling tired on their way to work, and centre around its ethos "every great day starts the night before". There are five ads that will run across the London Underground, London South East rail and in press. Goodstuff handled the media planning and buying. 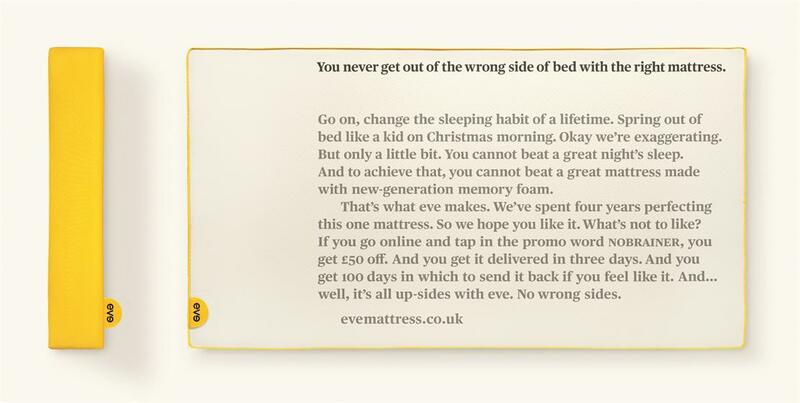 Kuba Wieczorek, the chief marketing officer at Eve, said: "We selected Goodstuff because of their huge knowledge of how e-commerce brands work, alongside an innovative and different approach to media which we felt was a perfect match with our brand, its values and their approach to marketing. "We simply wanted to work with the best people out there and there is no-one better than Paul Belford at creating impactful posters."